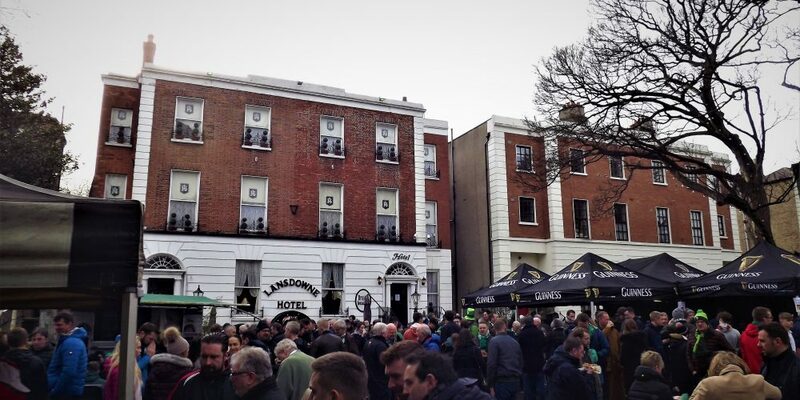 We took a wander down to Baggot Street ahead of Ireland’s huge victory over Italy in the recent 6 Nations. We wanted to check out the BBQ in The Den bar. It’s a great large outdoor space they have there and an excellent place to congregate in a bit of comfort ahead of the game. 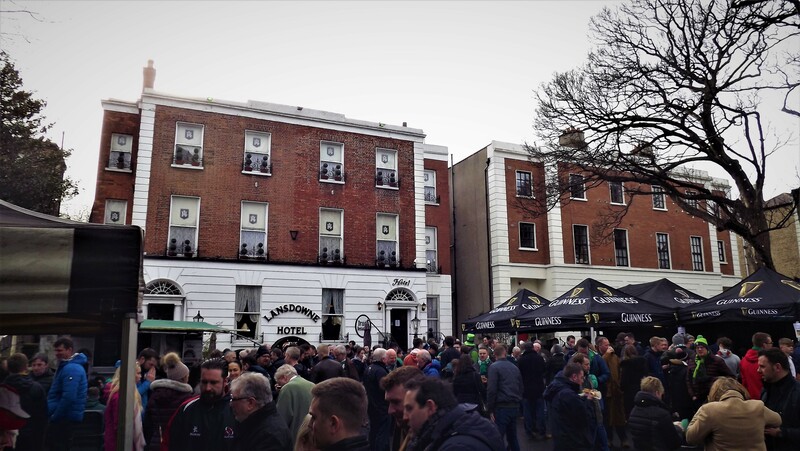 Their car park is converted into a fan zone with a festival like atmosphere. 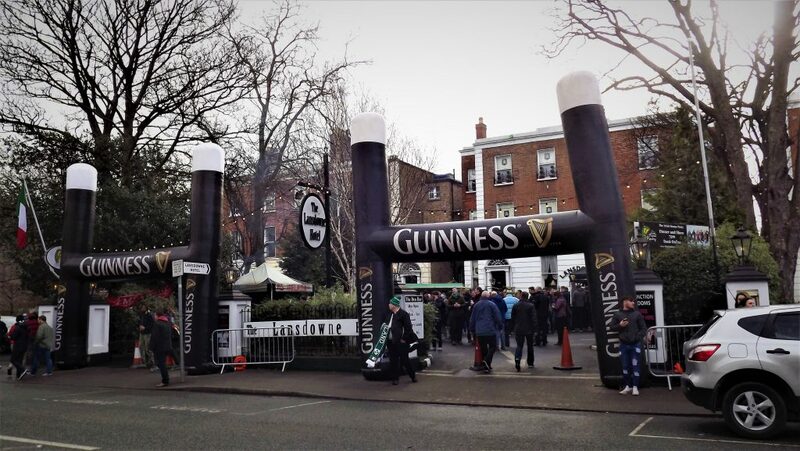 The entrance has two Guinness coloured inflatable rugby posts so that there’s no missing the fact that a pub lies beyond them! 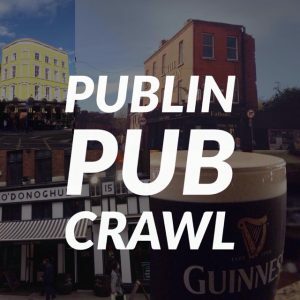 Inside there’s a BBQ laying on the burgers and hot dogs, as well as a screen for watching other matches before or after the live stuff in the Aviva, and there’s a large covered outdoor bar to compliment the one inside as well. 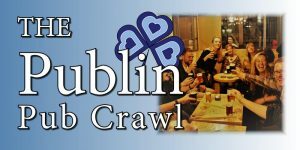 There’s lots of space here on mach days for a few pints before the rugby, football, or whatever happens to be on in the Aviva.